I love local fruits and vegetables in Anguilla and over the past few months I felt like I won the local fruits lottery. In fact, when it comes to fruits I can have them for snacks, desserts, breakfast, lunch and dinner. Anguilla is not like some islands where fruit trees line the streets but local fruit trees can definitely be found on this beautiful island. Over the last few months, I have eaten mangoes in galore. I had mangoes from my family trees. I had mangoes from the grocery store. 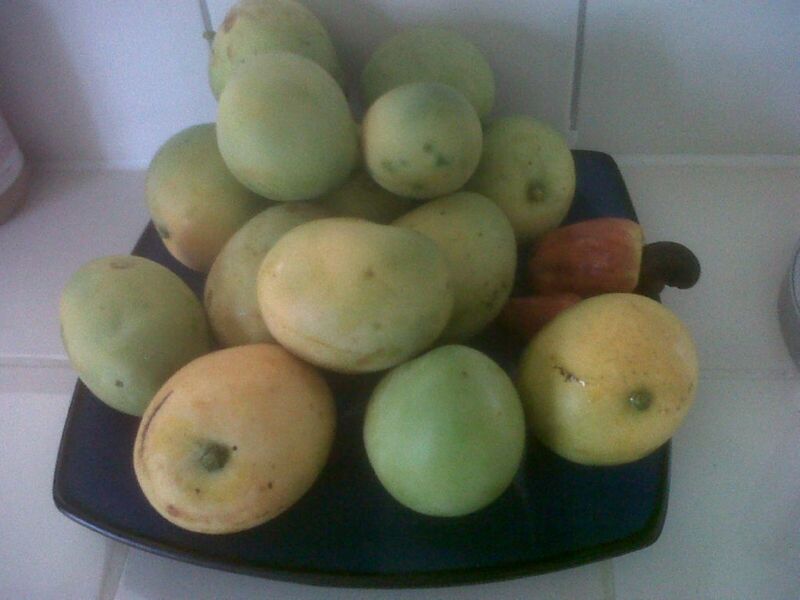 In addition, I was given mangoes from friends and family. This year mangoes were everywhere in abundance and I enjoyed each one I ate because mango is one of my favourite fruits. I also tried something new with the mango this year. I ate the mango skin which I never did previously but I always noticed that my husband did. I did some research and found out that the skin of the mango contains many nutrients so I decided to give it a try. Eating the mango like you would eat an apple was yummy. If you haven’t tried eating the mango and the skin, do try. In addition to the mango, I also enjoyed and/or I am currently enjoying a number of other local fruits. Our house came with a bonus of a couple of fruit trees. We have coconut trees and you already know that I enjoy my coconuts and coconut water. Another tree produces a fruit that we call in Anguilla soursop. 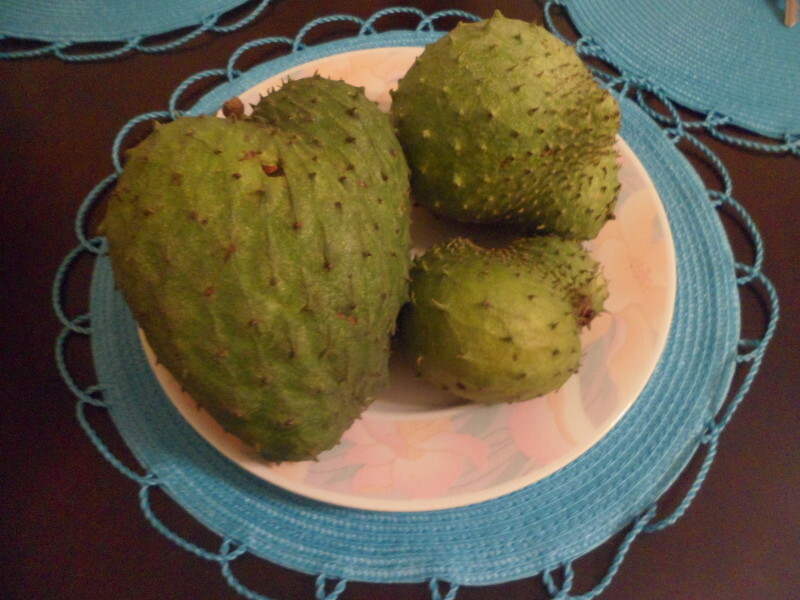 I love soursop juice and Nash made it for us on a couple of occasions. It was delicious. I am a happy Anguillian woman right now. My fruit luck didn’t end there. Over the last few weeks I have also had cherry nuts and sugar apples. I don’t understand how some people don’t like the latter fruit. Yes, it is full of seeds so it isn’t as easy to eat but as the name implies it is so sweet that it is worth the extra effort. The cherry nuts were yummy too but beware because this fruit as well as mangoes stain permanently. My banana (fig) trees are starting to produce their second batch of figs since I moved into the house and I have been watching the birds warily. Previously, the birds helped themselves to a couple of sour sops while my dog lazily watched on but fortunately I was able to save enough to share with family and friends. I feel that my avocado tree must be feeling quite left out as every tree has produced a fruit or vegetable including the peas and pepper trees. Despite, the fact that my avocado tree refuses to bear, I was given a number of local avocados which were so sweet. I have been enjoying avocado with everything including rice and beans and avocado with pita. Yum, yum. Well in terms of local fruits/food, that’s what I have been eating. 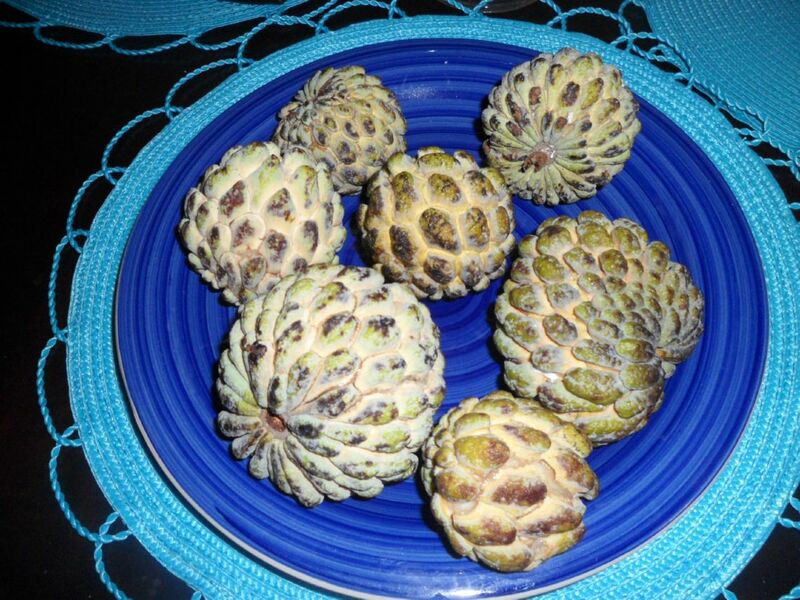 I know many of these fruits go by other names in other parts of the Caribbean and around the world so if you have a different name, drop me a note and let me know. I hope you have been enjoying the local fruit delights in Anguilla like I have. Let me know! If you want to buy local fruits and veggies do check out Island Greens on a Saturday morning on Coronation avenue. If you enjoyed this blog post, please ‘Like’ My Anguilla Experience on Facebook, Subscribe to us on YouTube and follow us on Twitter @ShelleciaB. NextYou know you are from Anguilla when….. Sounds wonderful, we have to buy all our fruit, but do enjoy the coconuts when we are in Anguilla. Well Ellen, if you are in Anguilla when my trees have fruits, I would definitely share with you! You making me feel like eating more mangoes Shelly. I had all sizes and shapes as well and I see my husband has about 4 sugar apples there. As a matter of fact I think I will go and put two in a brown sack now to ripe faster. Yum Yum Sharleen. I hope I get some more sugar apples before the season ends. I forgot I had passion fruit, it grows at Nathans Cove – tastes like grapefruit!